Handmade Gift and Shopping Guide | The Meandering Musings of a Consummate Shopper Handmade Shopping Guide: Bloomin Beautiful! Today I'm featuring one of my absolutely -favorite- people on the net! Loren is an absolutely terrific, funny and wonderfully supportive woman that I first met through Twitter and have really enjoyed getting to know over the past few months. 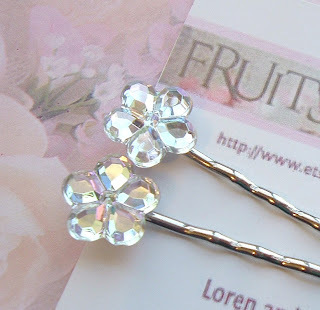 Her shop, Fruits OF the BLooM on Etsy, is filled with beautiful, cute, elegant and original bows, jewelry and hair accessories that are perfect for weddings, special events and even every day wear. I'm particularly fond of those intricate bows she makes for little girls, they're absolutely adorable! She has pieces for everyone from little girls right on up to adults and even matrons too. With tons of colors and styles available, there's sure to be something there for just about everyone! Like me, Loren was raised in a family that encouraged creativity in every day life and fostered the artisan spirit and it shows in her work as well as in the wide array of talents she has at her disposal! This is a valuable tradition that she's currently passing down to her own daughter, Caitlin, and you can often find pieces of her daughter's talents in Loren's shop as well! TO VISIT LOREN'S FRUITSOFTHEBLOOM SHOP ON ETSY, YOU CAN CLICK THE PICTURES ABOVE OR, IF YOU'D RATHER, CLICK RIGHT HERE! Thanks so much for this touching post, Zoie. Caitlin and I are so honored, and appreciate your kindness more than we can express. 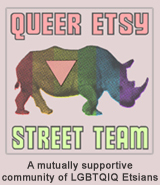 Thank you so much, we're so happy to have found lovely friends like you through our experience on Etsy--that's the best part of all, making wonderful and talented new friends!